At Brasserie du Sud we refine European flavours in our high quality regional produce. In our kitchen the current season is the core of the cuisine. 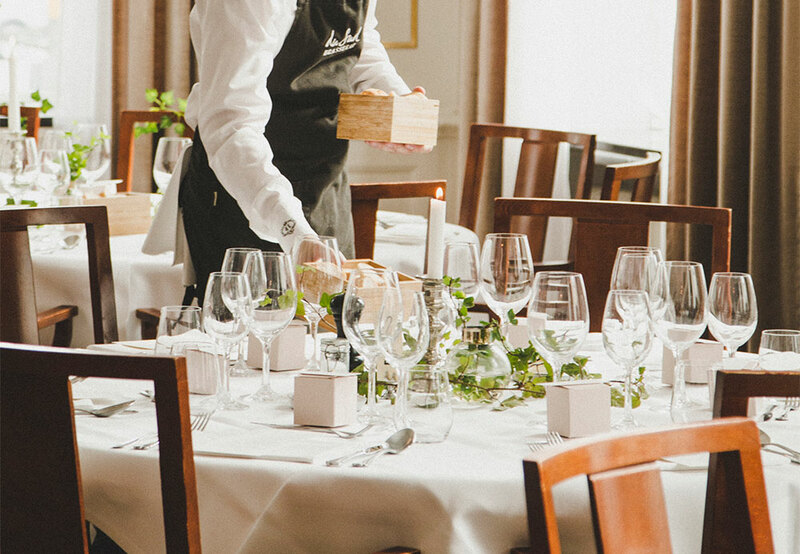 Everything we serve is made by our own hands and every 8th weeks we present a new à la carte. 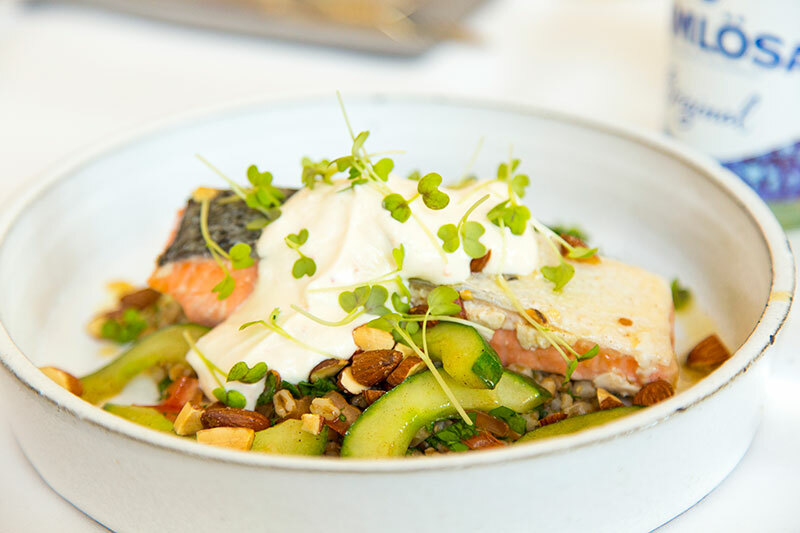 Brasserie du Sud is the destination for the gourmand from far away as much as we are the everyday lounge for the local habitants of Ystad. Opening hours for dinner is Monday-Saturday 17.00-late. Kitchen closes at 21.30. ”Honest food made slightly more interesting”, those are the words head chef Joakim Johansson uses to describe the cuisine at Brasserie du Sud. We want our guests to recognise everything they are served. Our cooking is ambitious, but not overly molecular. We focus on distinct flavours with a few surprises every now and then. 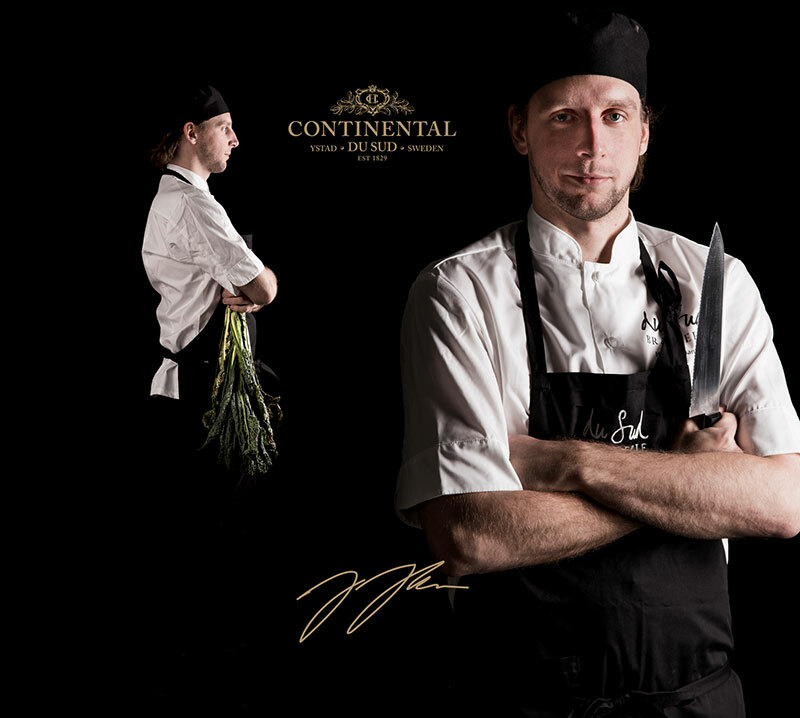 Joakim obtains inspiration from the trends and cultures in the variety of kitchens that make up the flavours of Europe. His creative ideas come to life with great assistance of crops and meat from local farmers. 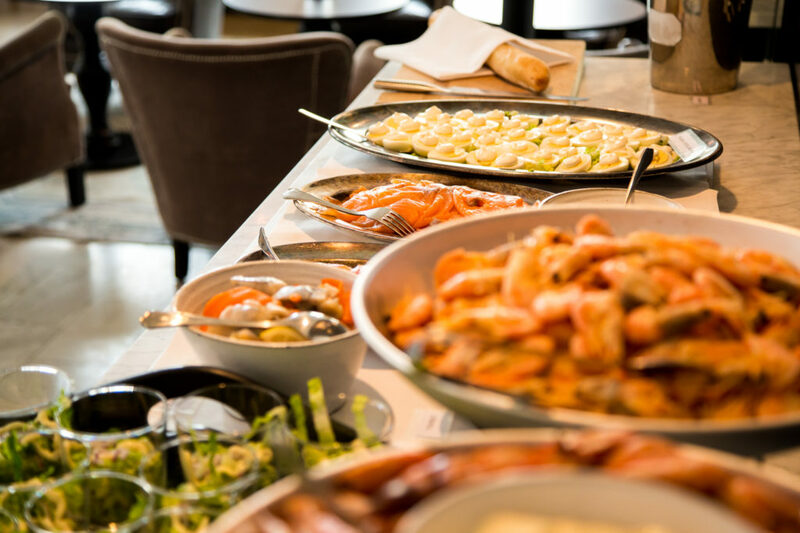 Every weekday we serve a choice of two warm dishes with a fresh buffet of salad and bread. Mineral water/low alcohol beer, coffee/tea is included – SEK 132. Opening hours for lunch: Monday-Friday 11.30-13.30. Weekends are brunch days. We present a great a variety of local produce, hot and cold, sweet and savoury. Cold and hot drinks are included in the price of SEK 235 (children up to 12 age SEK 99). Start the day with the energy of a rich and tasty breakfast. Every day of the week we serve our famous breakfast buffet that offers you pancakes, assorted cheeses, fresh bread, egg and bacon, fruits, juices and much more. Breakfast is always included for overnight guests, others are welcome for SEK 130 (children up to age 12 SEK 90). Hours: Monday to Friday, 6.30-9.30 & Saturday and Sunday 7.30-10.30. The open bar and quiet lounge is situated close to the restaurant. Relax after a long day or start up the night with a pre-dinner drink and a snack in our comfortable sofas. Hours: Monday to Saturday, 17.00 to late.